The Junior Boots program at our kid’s gym involves boys and girls from kindergarten through 8th grade, broken down into three separate age groups: K-2, 3-5, and 6-8. We’ve worked hard to create an after school program that makes our children’s activities in Northbrook as fun as possible for kids of all ages. One thing that doesn’t change much, though, is the idea of a “roll and a goal.” That’s because our kid’s gym is just that: a gym. While it has many aspects of a playground, Junior Boots still has structure. After all, NBC doesn’t just select a bunch of people for American Ninja Warrior and tell them to “go play.” People wouldn’t tune in for that for long, watching a bunch of people randomly move through an obstacle course with no set goal! That’s where “role and a goal” comes in. This idea comes from the five pillars that we believe are important to your child’s mental, physical, and character development: fitness, teamwork, leadership, critical thinking, and discipline. Let’s take a look at how these fit, flipping it around and taking a look at the goal before the role. As we said, our Junior Boots kids fitness program is fun but structured. After warm-up exercises and stretching, we give the team a goal that changes from day to day. These are all structured to challenge them in all five pillars. For instance, we’ll tell them to get from point X to point Z , and they have to find the Y path. Next time, they have to get from X to Z, but suddenly the Y path isn’t an option…they all have to work together to find some other way. The goal involves so much more than just the obstacle course fitness that’s involved; the team has to analyze the goal in order to find the best way to surmount the challenge. The role kids take on can be a leadership role or a following role, depending on the task at hand and how long it’s been since they’ve been one or the other. Either way, they can be an incredible part of the team, whether it’s offering ideas about how to solve a problem or using their physical abilities to help other complete the task at hand. The role helps them improve their communication skills while using the pillars of teamwork, leadership, and critical thinking. The role they play specifically helps their team reach the goal, which makes them feel great and brings them closer to their team. This dedication to helping the team helps kids focus and display discipline like never before. We’ll finish by saying this: the role and a goal idea is more than just helping kids develop mentally and physically. It’s also a way to help every child develop socially. Gregarious kids can learn the importance of following, while more shy kids will find that they can lead, even if it’s difficult at first. 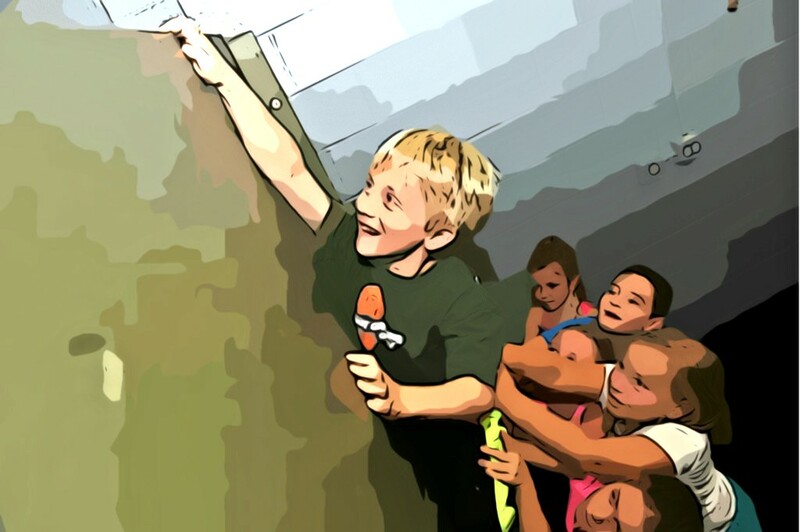 We’re dedicated to finding the best qualities of every child that steps into our kid’s gym, and the highly-structured Junior Boots after school program continues to stimulate kids mentally while getting them the exercise they need. If your child is in grades K-8, we have the children’s activities they’ll love. Check out the schedule right here!